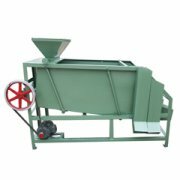 The GM series oil seeds flaker mill with double roller is small sized flaking machine for various vegetable oil seeds, mainly applied in granule like soybean, rapeseeds, sesame seeds (also can be used for cottonseeds) etc oil materials. 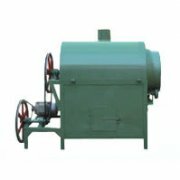 To mill the oil seeds into thin flakes by roller flaker mill, which can extend the surface area, make the oil material more plastic for cooking process, profit for extraction of oil and lipin by oil press. 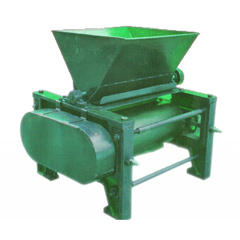 The oil seeds flaker mill is composed by the feed roller, board, bearing blocks and a small set of belt. 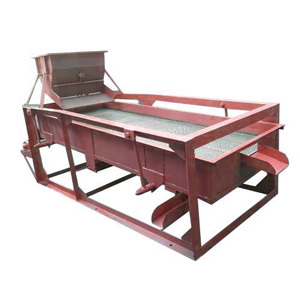 After oil seeds full of hopper, the flashboard (gate) control the flow volume, through the feed rollers rotating, the oil seeds can be evenly distributed on the whole surface. 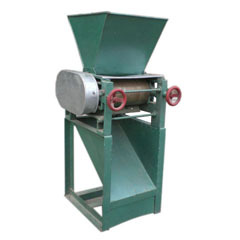 The flaking machine is composed by the panel (bracket), rollers, bearing shell, pulley, gear, compression spring, adjusting hand wheel and scraper plate etc.The distance between fixed and mobile rollers and thickness of them is determined by adjusting the compression spring with adjustment of hand wheel control. 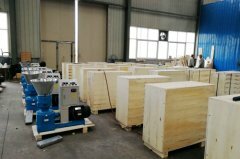 The role of spring make hard material cracked when pushing through the rollers, in order to avoid bearing damage of roller surface and axes, which can play of damping effect. When the embryo rolling machine moves, use oil lubrication. In order to maintain the normal work of roll surface, there is a pair of scraper board under the rolls, with the function of scraping out the embryo of materials sticked on the roller. The scraper plate pressed the roller surface is adjusted by stretchign spring. 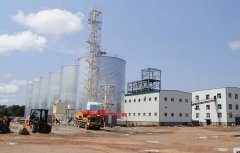 The double rollers of oil seeds flaking machine is rotating to machine, due to the smaller diameter roller, by gear driving. When power transmissed to the main roll equipped with belt pulley, the opposite rotation of rollers is achieved by transmission of a pair of gear wheels.